In early 2018, the All-Party Parliamentary Group on Brain Tumours (APPGBT) launched its first-ever Inquiry. This sought to learn more about the economic and social impacts of a brain tumour diagnosis in order to shine a light on these issues, many of which, although seemingly invisible, are felt deeply. Please visit Brain Tumour Research for further information. 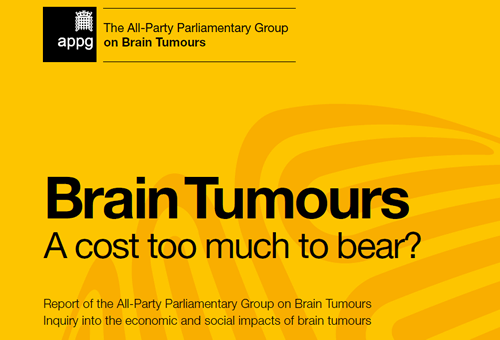 Download a copy of the report Brain Tumours – a cost too much to bear?